We’re 13 days into the new year and I’m already feeling overwhelmed by the tyrannical to-do list. 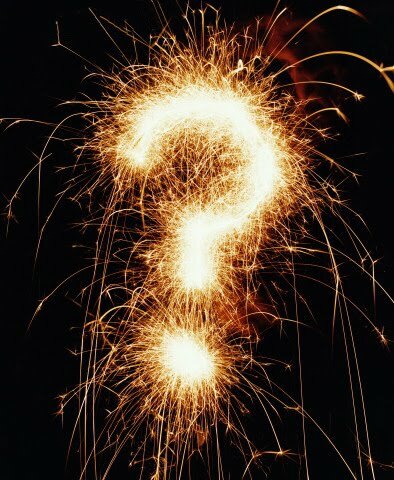 The pressure of the “urgent”—everything from prioritizing a dozen new projects to finally dismantling the Christmas tree, not to mention squeezing meditation, Nick-walking, yoga and Tai Chi into my already jam-packed days—makes me wonder: What happened to my big resolution for 2016? That is, keeping life simple. In truth, there was a bit of shake up in 2015. 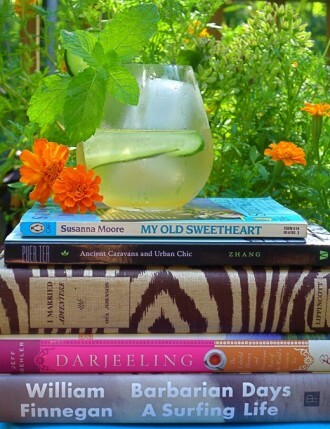 As cookbook writer/photographer Gintare Marcel said on Instagram, “It’s funny how you can always count on life to slow you down when you try to hurry too much.” (You can see her glorious photos at @gintare_marcel). And so, a long, intensively scheduled trip to Hong Kong, Hanoi, Luang Prabang and Siem Reap that I would have adored, even if it killed me: cancelled. Staying up late to write and catch up on chores: no longer possible. By 9 PM, nothing is more alluring than the prospect of climbing into bed with the Times crossword puzzle and a glass of Japanese single malt while watching reruns of the original Poldark with B. 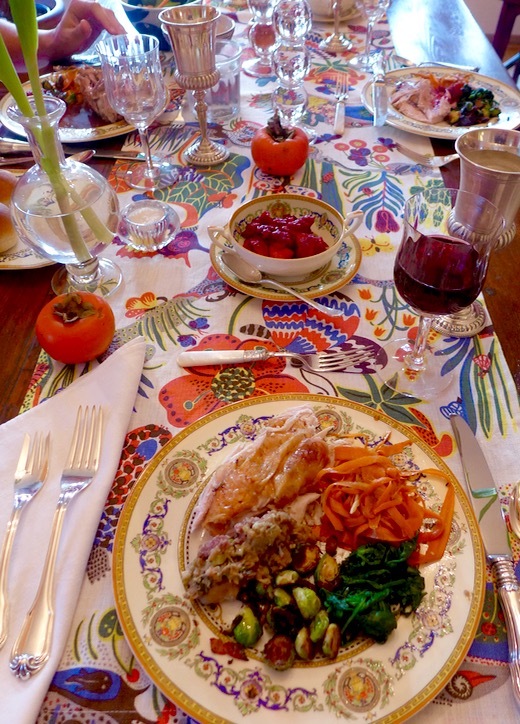 Our Thanksgiving table: bountiful & oh so exhausting. On the plate: Brined & roasted turkey, carrot salad with rice vinegar & sesame seeds, spinach sautéed with dried cranberries & pancetta, seared Brussels sprouts with bacon & green chilies, my Grandmother’s oyster dressing. Also, cranberry chutney. Not seen: smashed potatoes with garlic & herbs, & chocolate chestnut cake with whipped cream for dessert. 2015 may also have been the last hurrah for complicated holidays. Thanksgiving and Christmas were both bountiful and beautiful, but somewhere between the 48-hour brining of the turkey, the elaborate decoration of the house, inside and out, and the wrapping of so many packages for so many people, I became very, very tired. So tired that I just wanted it to be over as soon as possible. Where’s the fun in that? 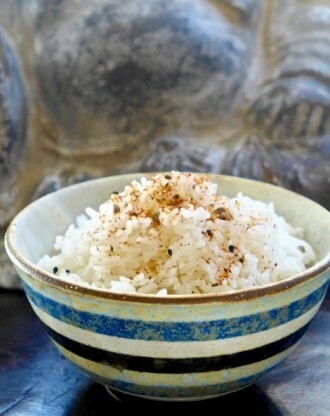 The image that floated before me during all this madness was telling: a bowl of perfectly cooked short grain rice, each plump, pearly grain gleaming in the pale morning light. I imagined eating it very slowly, savoring the subtly sweet flavor of each tiny bite, feeling utterly content. More and more I’m listening to my intuition, that quiet voice that rarely leads me astray when I pause to listen. Right now it’s telling me to keep life simple. Which means…. 1. Simpler cooking: This year I’m getting back to basics, focusing on the deliciousness of fewer but more exceptional ingredients. Current favorites: the golden Meyer lemons now ripening on our little tree, chewy tagliolini made of ancient Sicilian grains, the succulent pink-tinged gray shrimp caught in our coastal waters. Roasted vegetables, seafood, beans and rustic grains loom large in this way of cooking, especially when amped up with spices and other flavors. It’s not that I’ve abandoned the seared duck breast I adore, or chicken enchiladas with tomatillo salsa, but these have become occasional treats rather than frequent fare. After all, it’s hard to feel deprived when eating slow-roasted cauliflower with preserved lemon, olives and whole garlic cloves, or red snapper simmered in a Veracruz-inspired sauce of fresh tomatoes, green olives and jalapeno chilies. Room temperature farro with leftover roasted carrots, squash and onion, drizzled with olive oil and sprinkled with cumin and coriander, is a flavorful, easy-to-make lunch bowl. Cooking more simply also means shelving overly complicated recipes and the usual last minute dash for hard-to-find ingredients. 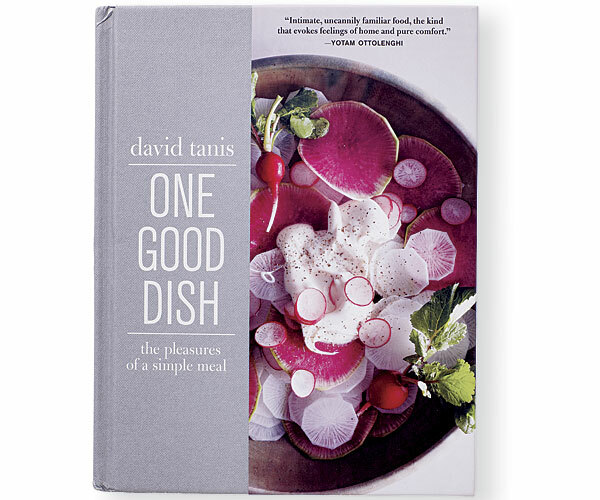 My new bible: David Tanis’s new cookbook, One Good Dish. 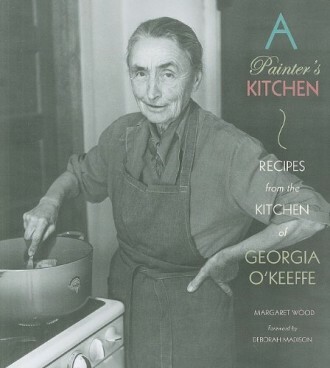 It’s filled with recipes for easy, seasonal food that the ex-Chez Panisse-chef and New York Times “City Kitchen” columnist enjoys cooking for himself and his pals. It’s an oddball collection, in a way, with dishes as homey as Radishes a la Crème (just four ingredients, including crème fraiche) and Spaghetti with Bread Crumbs and Pepper (plus crushed fennel seed and Pecorino Romano cheese for grating). But nothing is especially complicated and most ingredients are easy to find—maybe even in your own pantry. On cold winter nights, his Warm Lentil Salad with slab bacon, fingerling potatoes, capers and scallions is hard to beat. 2. More Room to Breathe: This time last year, Brenda and I began decluttering the house, using Marie Kondo’s The Life Changing Magic of Tidying Up to purge hundreds of books and magazines, 14 bags of “good” but unloved clothing, purses and shoes, plus kitchenware, sheets and towels, vases, and even a piece or two of furniture. As 2015 progressed, I unsubscribed from a handful of sites and their time-wasting daily emails. I noticed that my compulsive shopping slowed to a more measured pace. That silly-sounding question Kondo poses, “Does this spark joy?” helped me decide if I really had to have a new pair of faux leopard Manolo kitten heels (nope) or if yet one more fleur de sel would change my life (probably not, but I couldn’t resist). The newly opened spaces in almost every room, especially in our closets, created such pleasure that I could hardly bear to fill them up again. Alas, the best of intentions… B and I are so smitten with Japanese potter Akio Nukaga’s gorgeous but almost impossible-to-get wares that I flew to New York right before Christmas just to go to a Brooklyn pop-up hosted by Anzu, my favorite online purveyor of all things Japanese. Shamefully, I timed my arrival for exactly 5PM (the opening), not only so that I could chat with the master potter, who showed up specially for the event, but also so that I could buy as much as possible. 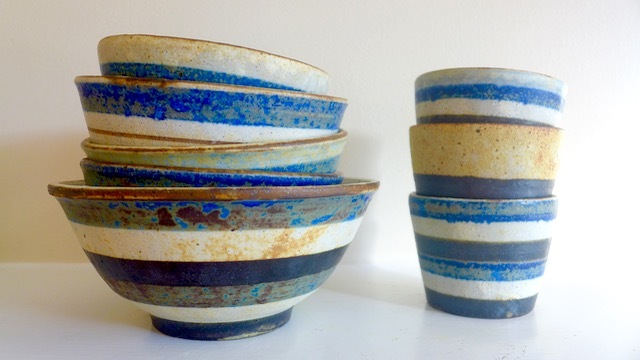 In the end I walked away with 4 tea and coffee cups, with and without handles, 5 smaller cups for soba noodle dipping sauce, and 14 (count’em) rice, matcha and serving bowls in rustic black, iron texture and indigo stripe glazes. I believe this is what’s known as an instant collection. As penance for my excesses, I’ve already begun a second purge. My goal: To have lots of empty space sparsely populated only by things I (and B) truly love. In Bhutan a few years ago, Rinpoche Mynak Trulku taught us to meditate by breathing in all the evil in the world & breathing out goodness & kindness. For 2016, I intend to continue creating space between myself & the incessant mental chatter–known as “monkey mind”–that generates all manner of ills. Six months later, I can say that, after spending 20 minutes a day with the popular Headspace app (15,640 people meditating at 9:45 AM! ), I’m finally starting to glimpse some “blue sky.” That’s the metaphor Andy Puddicombe, Buddhist monk, ex-circus performer and Headspace founder, uses to describe the space meditation creates between you and the incessant chatter in your head that generates all kinds of ills, from mental disorganization to out and out self-loathing. So far I’ve meditated my way through Stress, Anxiety, Relationships and Generosity. Coming soon: Happiness. In truth, I’d rather spend time with Mynak Trulku, a Buddhist priest we met in Bhutan a few years ago. 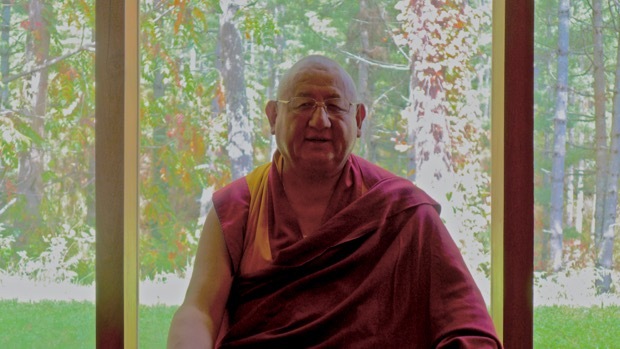 The Rinpoche taught us a simple but moving form of meditation, breathing in the world’s evil, breathing out goodness and kindness. But for the here and now, the app is working. Discovering that I can distance myself from distracting thoughts and feelings—and find a new sense of calm—is a step towards pinpointing what actually matters. I plan to slow down this year and focus on what’s most important. That means fewer, but more in depth posts. 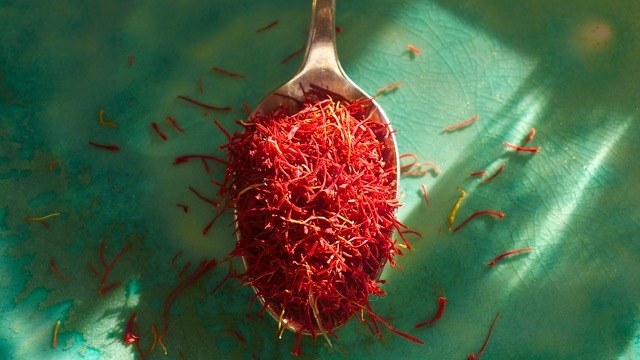 Upcoming: a look at saffron, the world’s most expensive and misunderstood spice. 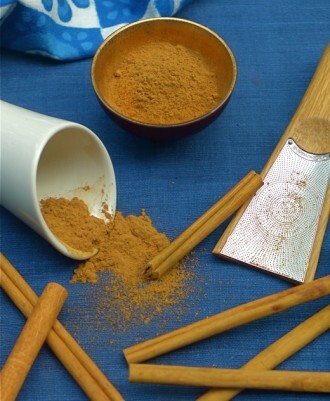 Above: A spoonful of Moroccan saffron. 4. 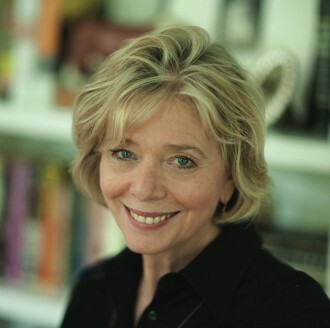 Quality, not quantity: So very true, and a rule I’ve decided to apply to this blog. 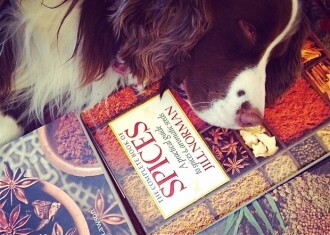 Recently, I was shocked to discover that Spicelines is almost 10 years old. The first recipe I posted, Smashed Chicken with Garlic and Black Pepper, appeared on February 2, 2006–a sequel to the first installment of Claire’s Tales, a spicy detective story which I’ve taken “private” until I decide what to do with it. At any rate, that little voice is telling me it’s time to make a change or two. I love writing and photographing, and hearing from you, but I also want to slow down and make time to savor life more fully. So, after some erratic blogging, I intend to get back on track, but with just a single new post every month. Naturally this is the antithesis of conventional blogging, but then I’ve never enjoyed the conventional path. And what’s normal anyway? Soon even Twitter will relax its 140-character rule to let us post 10,000-word articles for a select audience. I doubt anyone will be posting long form journalism on a daily basis. In 2016, I plan to spend some time leisurely cooking with saffron, that wildly fragrant, often misunderstood spice that commands stratospheric prices; there’ll be sources and recipes to share. A trip to Cuba is on the radar, with all the delicious food, drink, music and architecture that implies. And I’ll be sharing an upcoming meditation weekend that also promises Indian cooking and a touch of Bollywood dancing. I hope that these forays will be as fun for you as for me. I’ll never stray too far from the spice trail–just think of these little jaunts as intriguing detours that lead back to the main road. 5. The big one: So new I can’t even tell you about it. But it’s our freewheeling reaction to the growing unpleasantness of the material and spiritual worlds we inhabit. It will cover art, music, food, architecture, natural wonders, literature, aromas, beguiling plants and what neuroscientists are discovering about our senses. Above all, there will be laughter. For the time being, let’s call it the “return to beauty” project. Happy 2016! What a joy seeing you back! When I see that there is a new post, I find a quiet moment to read it. I love the photos and the many informations and tips that you give. And of course I am very curious about your new project! Oh thank you, Blandina! I’ve been writing this post in my head for so long. It’s lovely to know that you enjoyed it!